Island Conservation is based in Santa Cruz, California with satellite offices and staff located in Australia, The Bahamas, British Columbia, Chile, Ecuador, Hawaii, New Zealand, Palau, and Puerto Rico. 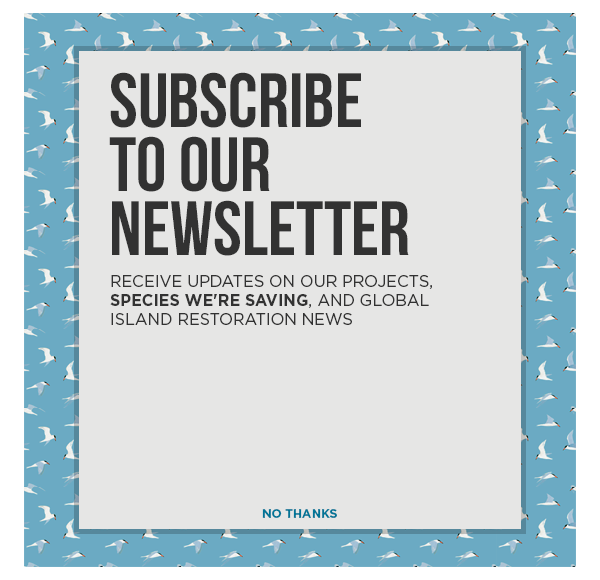 For more information, please visit www.islandconservation.org. The Chief Operating Officer (COO) will join the central leadership team at Island Conservation, based in Santa Cruz, California. The COO will be responsible for providing the leadership, management and strategic vision necessary to effectively run the organization, ensure financial strength and operating efficiency. The COO will oversee Island Conservation’s financial affairs and provide expertise and insights to help the organization make well-informed, and sound business decisions. This position will report to the Chief Executive Officer and will serve as a key leader and thought partner on the organizational Leadership Team. Experience with multi-national, multi-lateral, multi-agency accounting issues. The ideal start date is 5/1/17; however, the position will remain open until a suitable applicant is found. Island Conservation is an equal opportunity employer. Island Conservation offers a salary and benefits package that is competitive with other international not-for-profit conservation organizations. Email your application to recruiter214@blueearthconsultants.com at Blue Earth Consultants, a Division of ERG, who is coordinating the recruitment process. Please include IC COO 2017 in the subject line. We will be reviewing candidates starting March 13, 2017 and continue to accept applications until the position is filled.